The latest round of negotiations on the Transatlantic Trade and Investment Partnership (TTIP) was productive and a final agreement may be finalized by the end of the year, Chief US Negotiator Dan Mullaney said in a conference call on Friday. 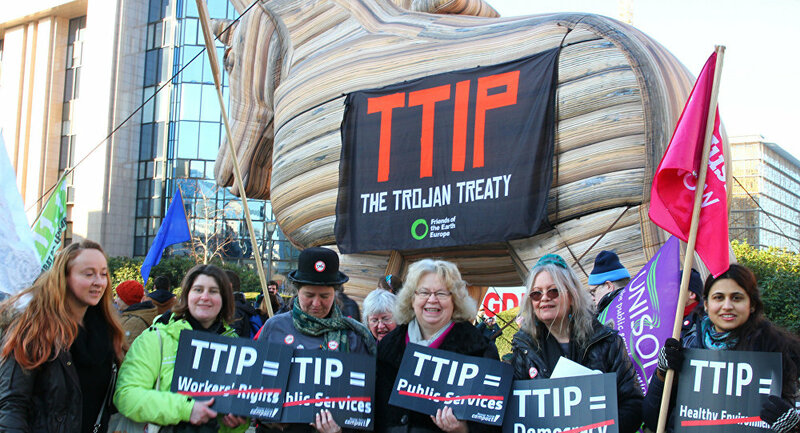 NEW YORK (Sputnik) — The TTIP negotiations are allegedly aimed at reducing barriers to trade in goods and services between Europe and North America, but have drawn severe criticism for the lack of transparency. 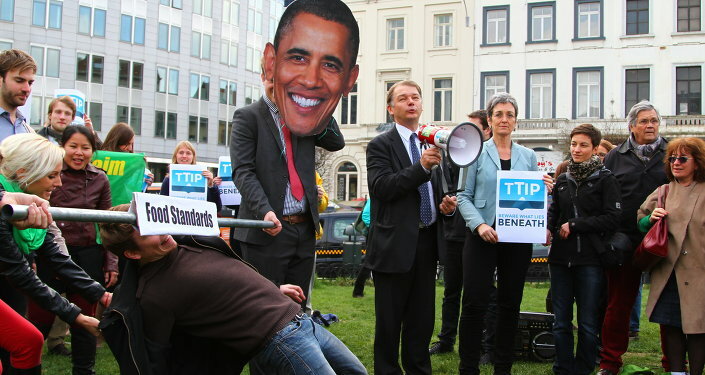 Moreover, the TTIP has also been slammed for bypassing the framework of the World Trade Organization and excluding the BRICS [Brazil, Russia, India, China and South Africa] countries, while leaked details of the deal show that it might undermine environmental, health, safety and labor standards. "We had a very productive round this week but we still have significant work left to do. We believe there remains sufficient time to complete an ambitious, comprehensive and high-standard TTIP agreement this year if we continue our intensive engagement and we mobilize the necessary political will efforts and determination on both sides," Mullaney said. He also said that the upcoming referendum on United Kingdom’s exit from the European Union, known as Brexit, is not affecting the ongoing TTIP talks.